Winter is definitely here which means the cold temperatures, ice and snow are here to stay for the next few months. Be smart about keeping yourself and your home warm this winter without breaking the budget. Of course, making sure your heating system is clean and has been serviced is the best way to efficiently keep your home warm, but these 12 other tips are sure to help keep you toasty warm all season! Add another layer! 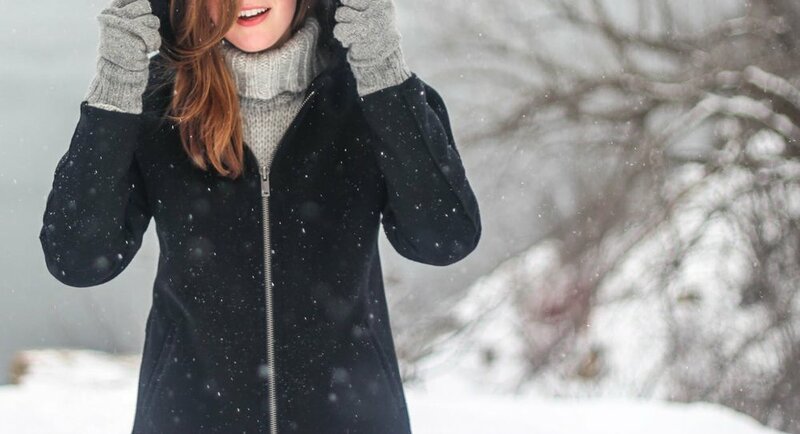 This one is a no-brainer because it's easier to throw on a sweater, hat or wrap up in a blanket instead of blasting the heat until you warm up. Not to mention its eco-friendly and easier on your wallet. Eat warmer foods and drinks. Warm up with a coffee, or tea and eat warmer foods like soups and spicy dishes. Program your Thermostat. Schedule your thermostat to keep your house at a lower temperature when you're out or asleep and to warm up around the time that you wake up or arrive at home. Switch between hot and cold water when your shower. Hot water warms you up immediately but colder water helps improve blood circulation and helps boost your immune system which is always helpful in the winter months. Use your ceiling fan. Warmer air rises so take advantage of your ceiling fan and turn it on to the lowest setting in a clockwise direction to push the warm air down. Block drafty doors and windows. Invest in some weather stripping or sealing to stop the cold air from creeping in. Curtains with a thermal lining aren't a bad idea either! Bake up a storm. Using your oven heats up the whole house, and so does inviting your friends over for treats. Who doesn't love holiday baking? Layer up your bed. Keep the fluffy blankets closer to you with thinner, denser blankets on top. Also, if your bed is against an exterior wall, pull it away a few inches. Light a fire. Even if you don't have a roaring wood stove, you can keep warm by lighting a few candles in the room you're in. The ambiance is an added bonus. Cover your floors. Slippers and fuzzy socks can certainly help with cold floors in the winter, but adding a rug as another layer really helps insulate your home and keep your toes warm! Stay Active. Nothing warms up your body like physical activity. Go for a walk, do some jumping jacks or even clean out and re-organize that back closet. Whatever gets your heart rate up and your blood pumping! Humidify your home. More humid air feels warmer which allows you to turn the thermostat down a degree or two, as well as help against drying winter air.